We offer Phosphate Solubilizing Microorganisms that are used and widely recommended for all Crops. 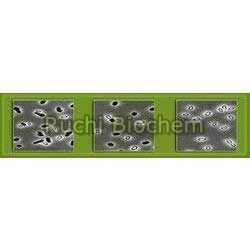 There are many types of micro-organisms present in soil out of which some microbes & fungi can solubilise the complex insoluble form of phosphorus into simple soluble forms that can be taken up by plants. Generally these micro-organisms are very few in soil. PSB culture contains millions of Soil Phosphate Solubilising Micro-Organism per gram. These Soil Phosphate Solubilising Bacteria stay near the roots & make the phosphorus available to plants from soil as well as fertilizers & increase the production significantly.